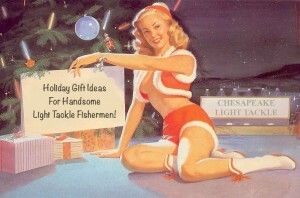 Currently browsing articles with a topic of "christmas pinups". Fishing Buddies – You buy gifts for fishing buddies? 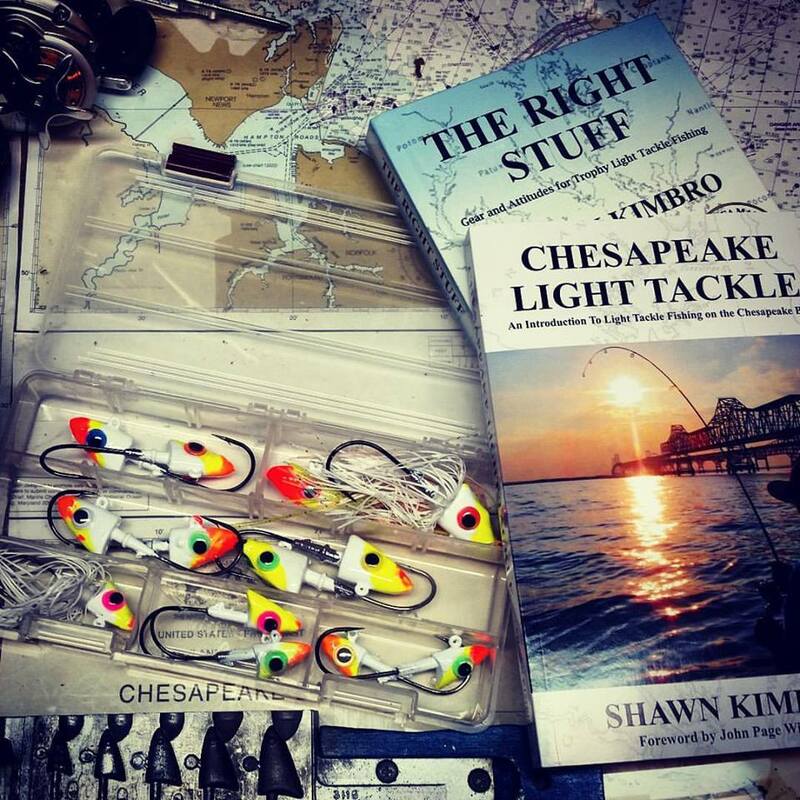 Weird, but since you do, your first choice is obvious: a copy of Chesapeake Light Tackle, An Introduction to Light Tackle Fishing on the Chesapeake Bay. Just click the link and I’ll sign it and ship the next day. Of course, your buddies probably already have it, so go with four or five packs of Bass Kandy Delights (BKDs). You can get them at your local bait shop, or order them direct from the manufacturer. Make sure you throw in some 10” chartreuse ones, because it’s that time of year. If you’re buying for a buddy who you fish with often, pitch in a dozen jig heads, that way you won’t feel bad when you ask to borrow one. Extra points if you made them yourself. Read More!